Few places on earth offer the kind of tranquility you will find at the seaside resort town of Hua Hin. For over a hundread years, beginning with royalty and the wealthy, visitors have noticed that the entire long white sand beach is marvelously imbued with a sense of pleasant and gentle bliss, from the breeze in the trees, to the soft waves rolling in from a placid sea, to the atmosphere of calm happiness. 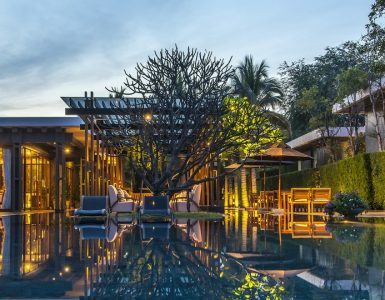 A great Hua Hin hotel promotion is a dream come true for vacationers who enjoy getting away from it all but not going too far from civilization. When you are searching for the ultimate indulgence in relaxation and time for yourself in a Hua Hin hotel promotion, The Serenity 3 Days 2 Nights package offers everything you could imagine. 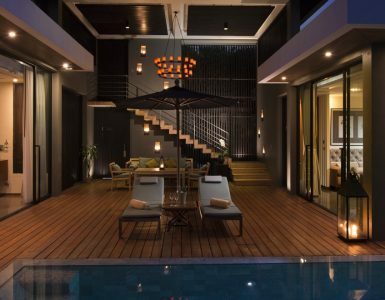 Enjoy your own exclusive villa with a private pool for starters. And how about having a 24-hour butler at your service, awaiting your every request? 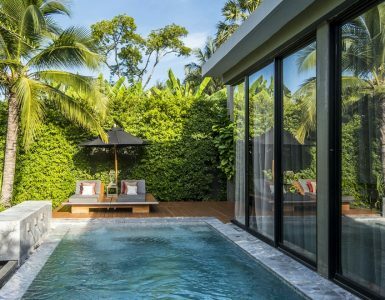 Villa options range from a 1 or 2 or even a 3-Bedroom Pool Villa Suite, with some nice complimentary extras all yours, and benefits customized for two, four or six persons depending on the villa you reserve for your stay. Daily breakfast at Villazzo restaurant in the morning, a set dinner in the evening, a 60 minutes Silk Oil Aroma Massage for each of you, and more make every moment marvelous. If you are a couple in love, The Honeymoon & Anniversary package in a gorgeous 1-Bedroom Pool Villa is the Hua Hin hotel promotion for you! The sumptuous honeymoon bed and milk bath prepared in your villa comes with an intimate bouquet and complimentary bottle of sparkling wine, a candlelit dinner for two persons, a 60 minutes Silk Oil Aroma Massage for two, 24-hour butler service, and many other privileges. The Presidential Exclusive package is aHua Hin hotel promotion designed especially for a group stay in high style. The magnificent Presidential Beachfront Pool Villa and its gorgeous view are simply extraordinary. There are so many delightful and luxurious benefits included for your group in this package that a list would run off the page! Contact us for the entire description of bliss!